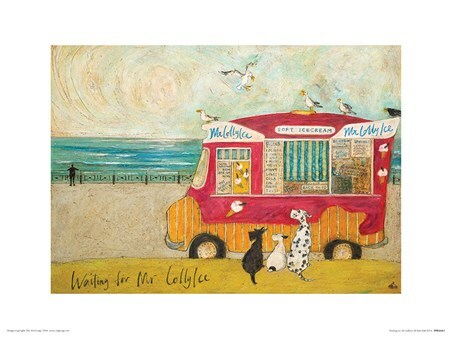 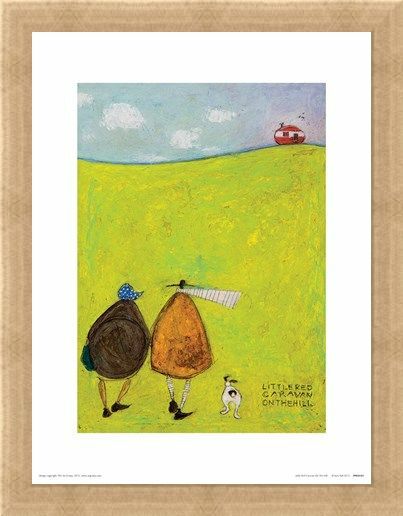 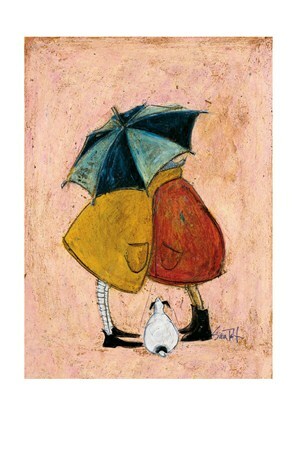 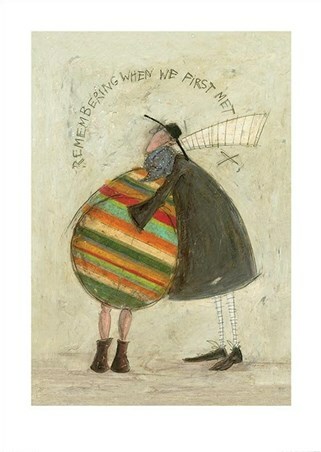 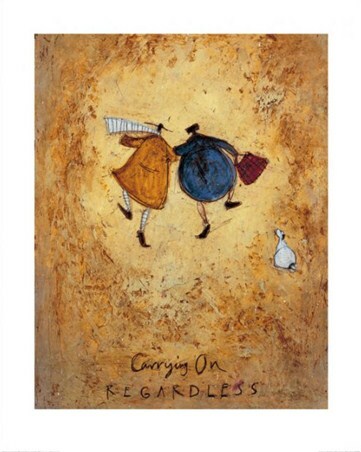 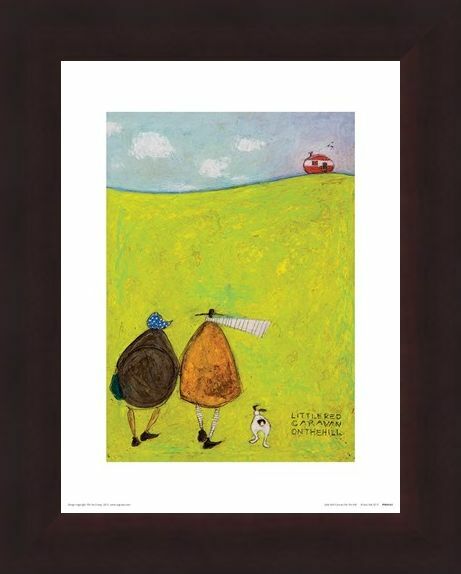 Art Print: If you're a fan of the gorgeous artwork of Sam Toft, then this print will make a charming addition to your collection. 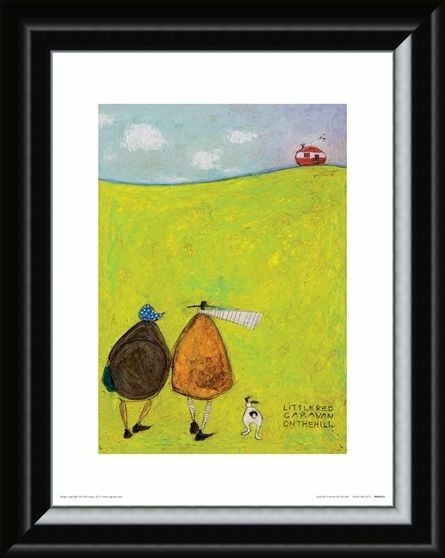 It features Ernest Hemingway Mustard and his wife Violet walking hand in hand across a vibrant green field, towards a little red caravan perched on top of the hill in front of them. 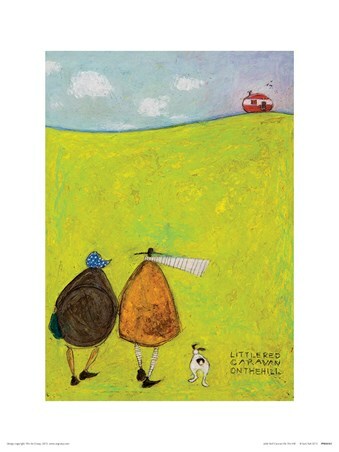 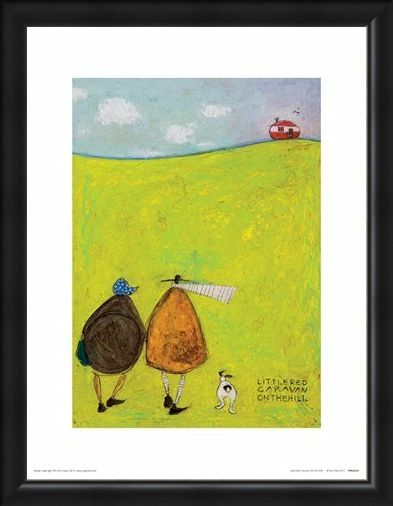 Their grumpy Jack Russell Doris is seen walking loyally alongside them, as they all head towards their next adventure. High quality, framed Little Red Caravan On The Hill, Sam Toft print with a bespoke frame by our custom framing service.